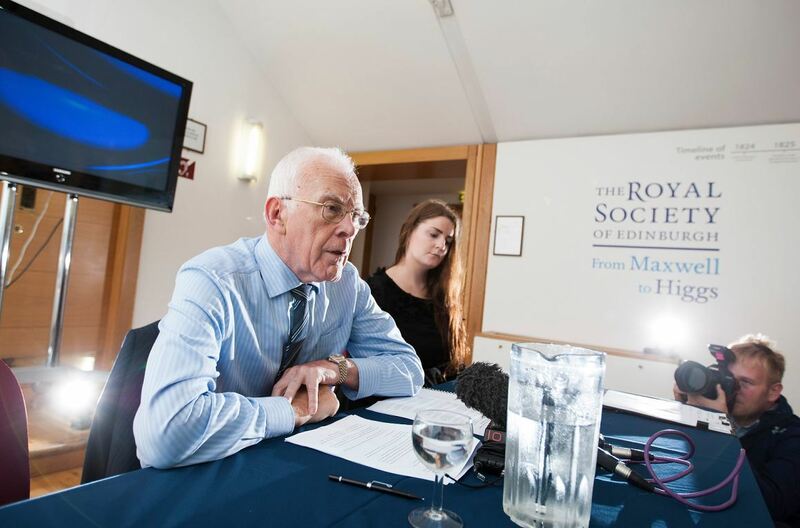 North-east oil services tycoon Sir Ian Wood has warned that Scots voters were being misled and influenced by highly inaccurate forecasts, false promises and misleading information about Scotland’s black gold reserves. The Aberdeen-based industry expert has today made an impassioned plea for realism to take precedence over what he called “fantasy” predictions in the run-up to the independence referendum next week. He claimed Scots “owe it to themselves, their children and their grand-children” to fully understand the economic consequences of breaking away from the UK. Sir Ian said campaigners making the case for independence had painted “an overly-optimistic picture” which is galvanising voters into making a decision they could “all live to regret”. Sir Ian referred to the a report produced by think tank N-56 which claimed there could be another 21billion barrels of oil equivalent from unconventional shale reserves in the North Sea – a process known as fracking. The forecast was backed by former president of the Wood Group in the Americas, Derek Blackwood who claimed the untapped reserves were likely to be a “game changer” in the UK North Sea story. Martyn Tulloch of Tulloch Energy, co-author of the N-56 report said he was “surprised” that Sir Ian was at odds with a wealth of experts in the field like Professor John Howell of the University of Aberdeen and Alex Russell of Robert Gordon University who have given their backing to the report. He added that the tycoon appeared to be at odds with the views of the UK Government as a senior official within the Department of Energy and Climate Change recently said offshore unconventional oil and gas was an “enormous new play” for the North Sea. But Sir Ian claimed Mr Blackwood only had experience in onshore fracking in America which was “totally different” to offshore exploration. “Quite frankly the N-56 report is an insult to the Scottish people,” he said. “As passions rise and hearts risk over-taking minds in the debate, it is vital that Scots are able to make their decision based on fact and not fantasy. “The N-56 report, sponsored by Yes campaigners and welcomed by First Minister Alex Salmond, gives the impression that 21billion barrels are in reserves. “Reserves are hydrocarbons which are technically and economically proven. “To be classed as reserves, we have to know what is there and be certain it can be extracted in an affordable way. Sir Ian said Mr Blackwood, who is linked to the pro-independence group Business for Scotland, was an extremely able and effective executive. “I know what I am talking about in the geology of shale onshore and offshore and Derek is not a geologist and his whole experience is onshore in the states,” he added. “If you look at any of the onshore areas there is a huge number of wells to exploit the shale area but you cannot do that offshore,” said the businessman. “The costs of doing are completely prohibitive so I do not think we will ever seriously exploit shale offshore. Sir Ian said voters must be aware that the Scottish Government’s plans for balancing the books are based on the “highly unlikely” scenario of recovering 24billion reserves. “This is 3billion barrels ahead of the maximum 12-21billion latest estimate from UK Government and frankly looks to be significantly unachievable,” he added. Sir Ian said it was clear that the realistic recovery of oil and gas is between 15-16.5billion barrels, which is one third less than the Scottish Government’s figure. He added that industry costs have increased five-fold over the last ten years, making a number of fields unviable and the industry was struggling with poor production efficiency. Sir Ian said this meant that oil and gas companies were producing less at higher cost and therefore contributing less in taxes per barrel. “Fourthly, and of most concern to the industry, is the condition of the aging infrastructure such as platforms and pipelines at least part of which will become non operable early in the next decade,” he added. Sir Ian reiterated that it was highly unlikely that this range of 15-16.5billion barrels could be increased significantly after 2050 when a large number of smaller fields could come on-stream. “These small discoveries, which the first minister is claiming will significantly increase production after 2050, will be hugely challenging to develop,” he said. Mr Tulloch insisted Scotland’s public finances would be given “colossal boost” through access to new oil and gas reserves. 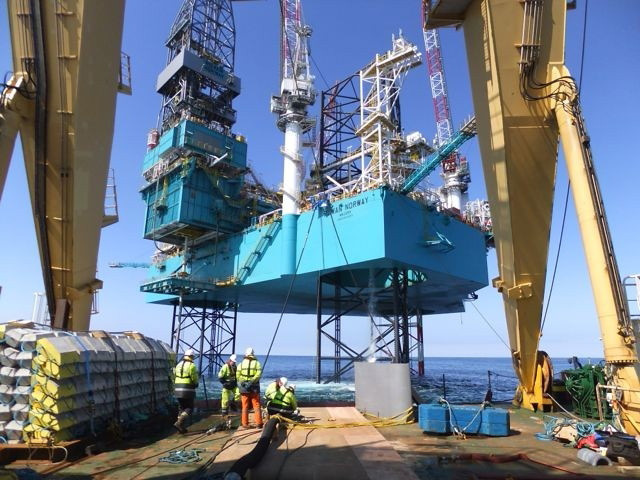 “These finds are reminiscent of the early North Sea discoveries from over 40 years ago, such as the Brent Field, and would propel Scotland towards the top of the global league table in terms of oil and gas production,” he said. Mr Blackwood added: “One constant in all of the data related to the US onshore shale development story is that projections of production from shale plays has in my experience increased significantly each and every year over the last five years and will likely continue for years to come.